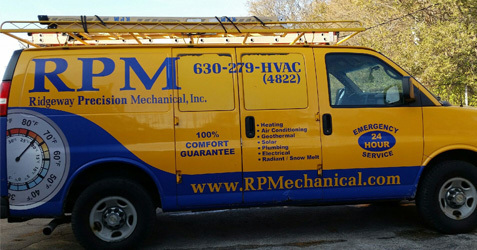 Depend on RPM for your heating, cooling, and plumbing needs. From installing state-of-the-art geothermal systems to maintaining existing heating and cooling units, we do it all to keep you comfortable and satisfied year-round. Trust us for plumbing and HVAC services—we work on all makes and models and offer 24/7 emergency service. For your convenience, we also offer free second opinions (up to 15 minutes of service). We believe that everyone should receive a second opinion, so contact us today to request one today. We will come out to your property, pinpoint the problem, and give you the cost of the repair. Ridgeway Precision Mechanical, Inc. (RPM) is a family owned Full service licensed HVAC & Plumbing Company that specializes in Geothermal & Radiant heating. 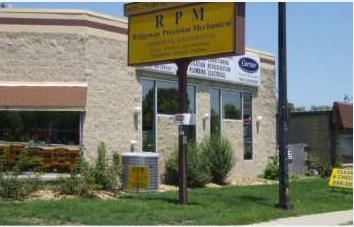 Since 2005 we have been located at 280 W St. Charles Rd in Villa Park Illinois. 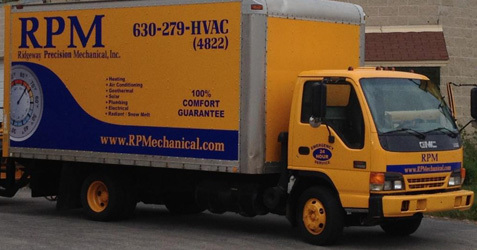 RPM provides service & installations for commercial, industrial & residential customers for all of their heating, ventilation, air conditioning, geothermal, refrigeration (HVAC-R), hydronic systems, electrical and plumbing needs. 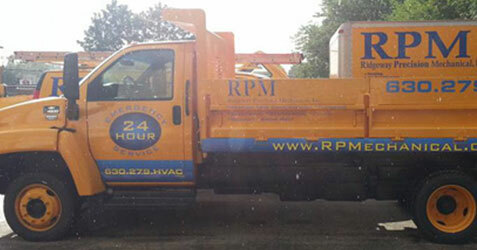 RPM services the entire Chicago land area as well as the suburbs. Our facility is stocked with a majority of the most popular parts for quick repairs. We have a fully mobile installation shop which allows us to service jobs with on-site sheet metal production. 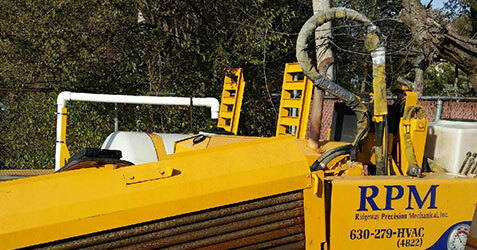 We are also fully equipped to perform any necessary excavating or drilling that may be required for scheduled or emergency repairs and installations.